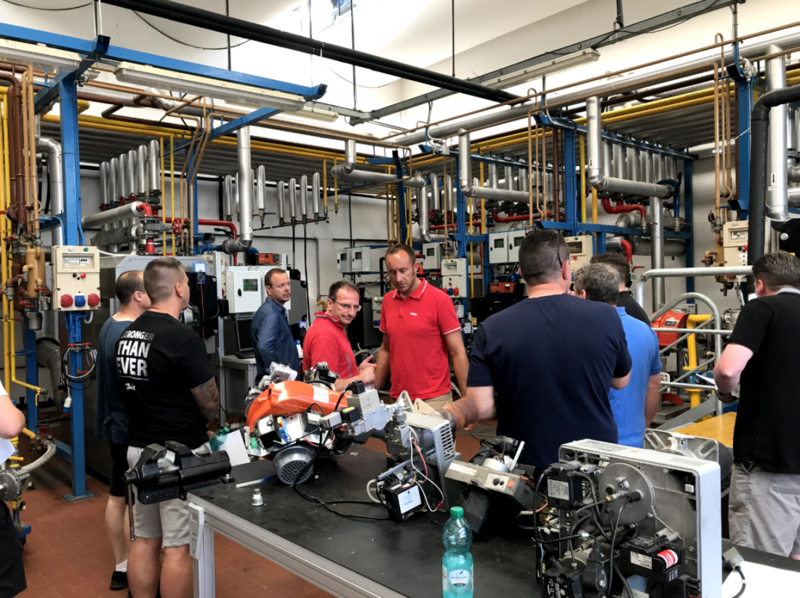 EOGB engineers have just returned from Bologna, Italy, after running a five-day commercial burner training course at Baltur’s impressive R&D facility. 2018 marks ten years since EOGB established the course, which covers single stage, two stage and fully modulating burners from 50kW to 2000kW as well as commissioning, gas valve set up, modulating controls, burner matching, and fault finding. Unlike other courses currently available, training at Baltur allows engineers to get first-hand practical experience on large commercial burners, giving them essential experience and advanced technical knowledge. See more information about EOGB’s commercial burner training here.